RALEIGH (WTVD) -- 10 people have been displaced as a result of an accidental apartment fire on Wallingford Drive Saturday morning. The fire happened just after 5 a.m. at a two-story apartment complex in the 5000 block of Wallingford Drive. 75 firefighters were on scene along with Raleigh police and the Red Cross. 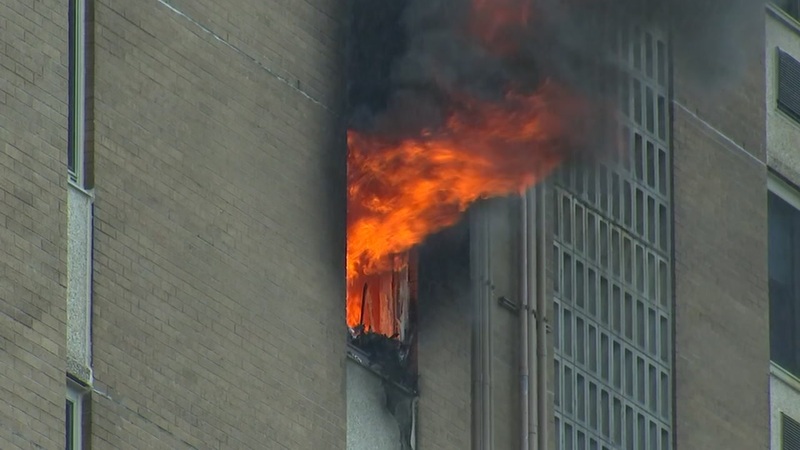 According to Raleigh fire officials, 6 units are uninhabitable and 10 people are displaced. The cause of the fire has been listed as accidental cooking. Six people were hospitalized after a fire broke out at a high-rise apartment on Glenwood Avenue Friday afternoon.